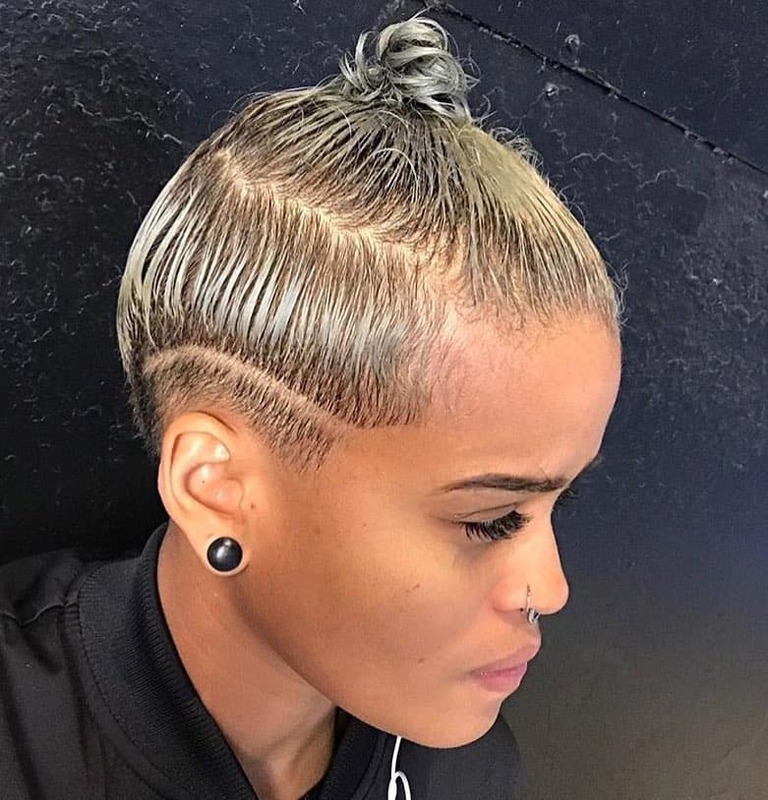 A couple of years ago, Rihanna brought back the undercut as a popular hairstyle among women. 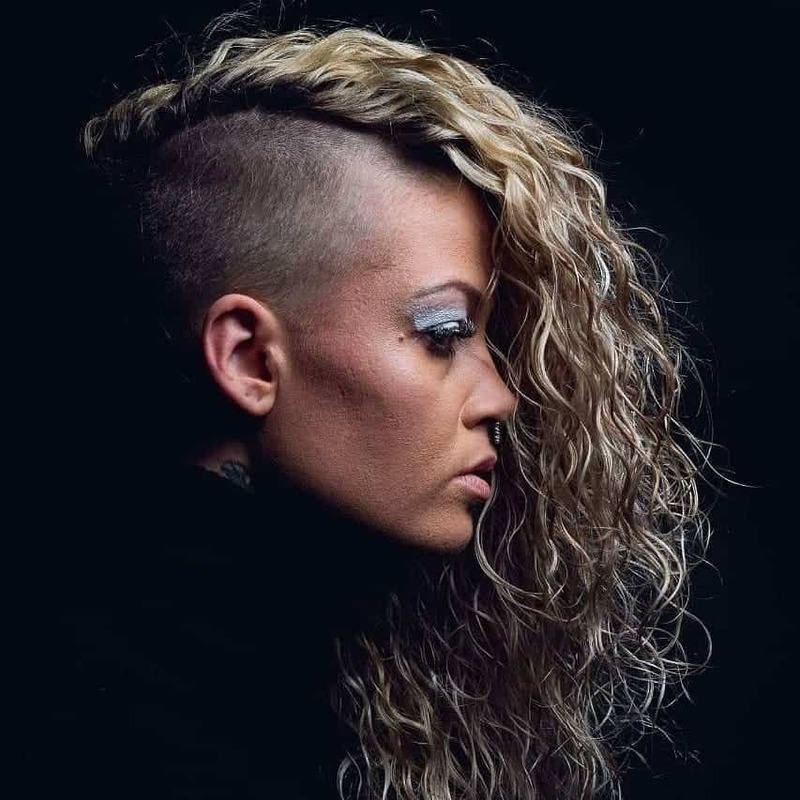 Just for info, the undercut was popular during the Edwardian era, the 1920s, 1930s, and 1940s. Then, it went missing for more than 60 years before Rihanna and other celebrities brought it back to life. 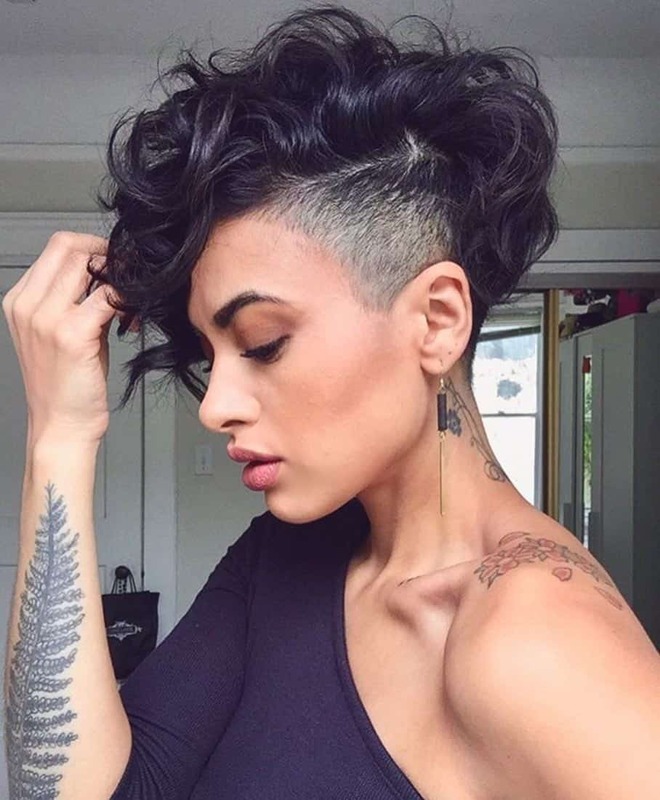 But the problem with the undercut is most women do not want to shave the hair on both of their sides. And that is how the shaved side hairstyle was born. 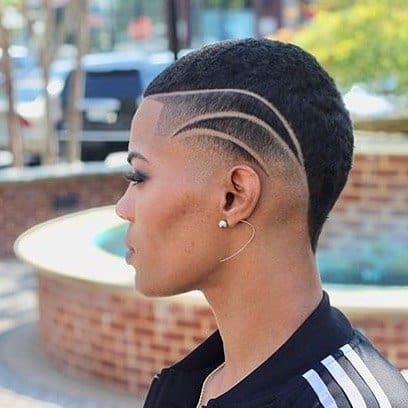 Unlike the undercut, you shave just one side of your hair, and leave the hair long on the top of your head or on the other side. 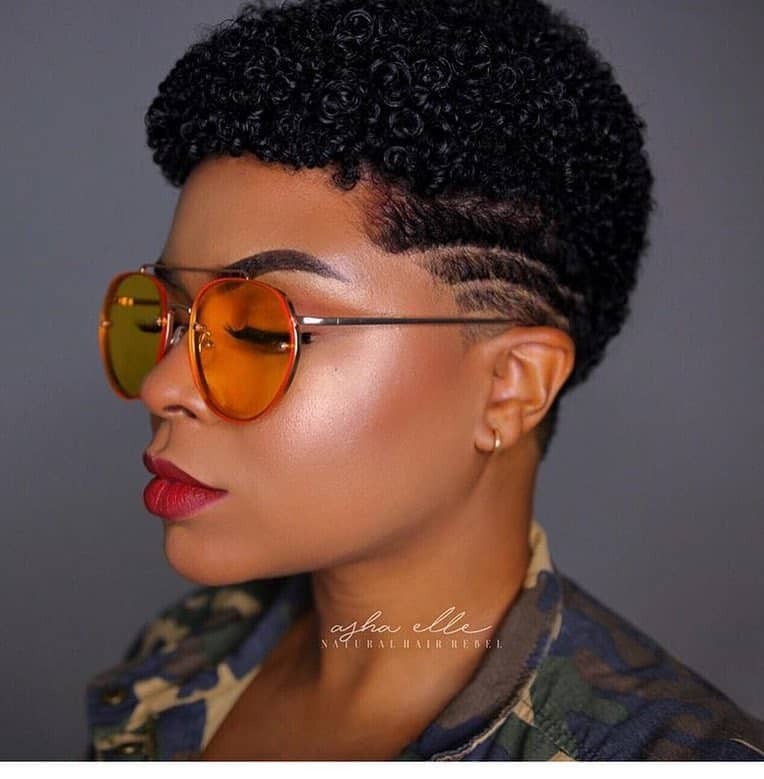 We give you a couple ideas for this trendy look, and it is up to you to choose the one that works best for your character. We start off with a classic look. Most women wear their hair by the shoulders, so it is only logical that we start with a classic shoulder-length look. Wear your hair elegantly. Nothing spectacular, but gets the job done. Now, if you like to be unique, this is the look you want to go. Sadly, not everyone can get it, as you need curly hair. And this look definitely requires a lot of confidence. 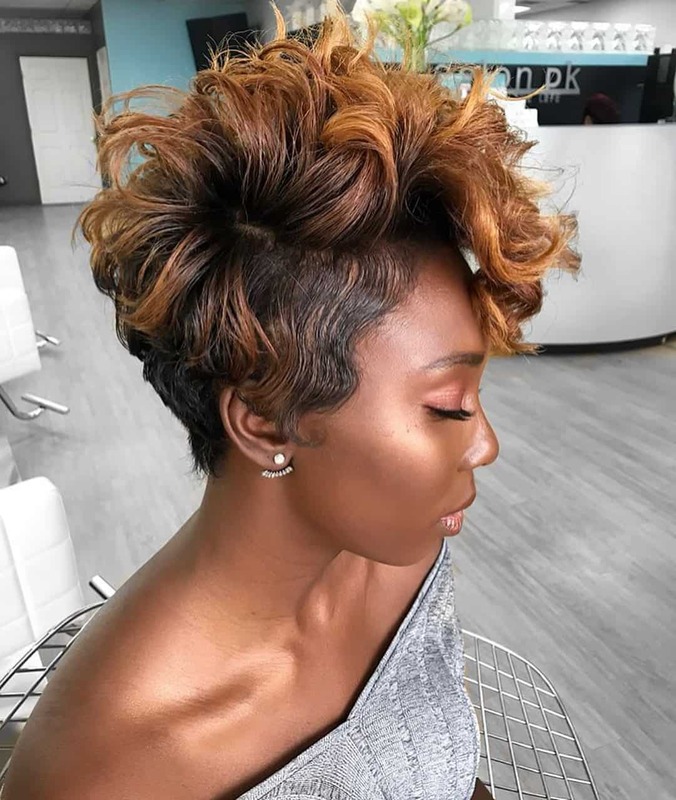 Cutting your hair short is something most women do not have courage to do. 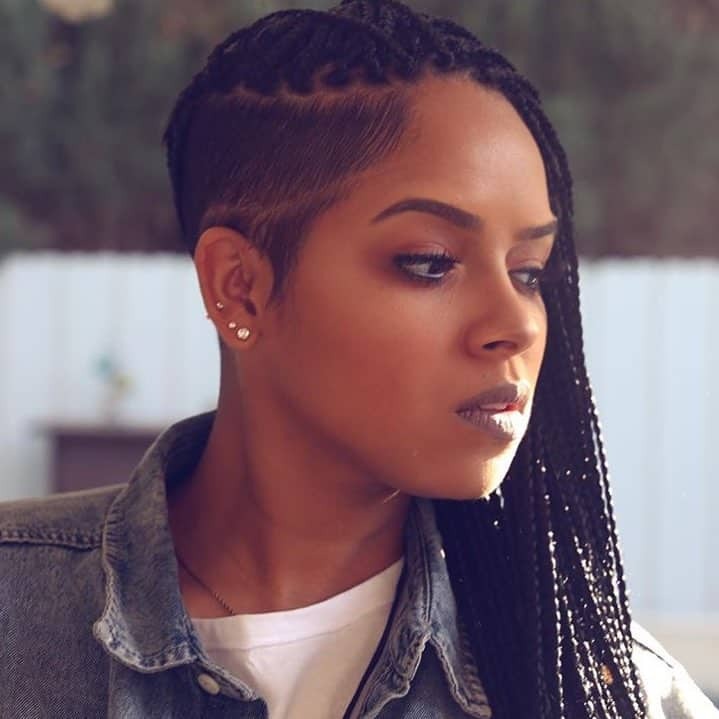 Corn braids or not, this look is absolutely amazing. Now, adding some artificial hair might not be your idea of a hairstyle. But it is worth trying at least once. We love it when women want to make a statement. And this unique hairstyle will help you do just that. 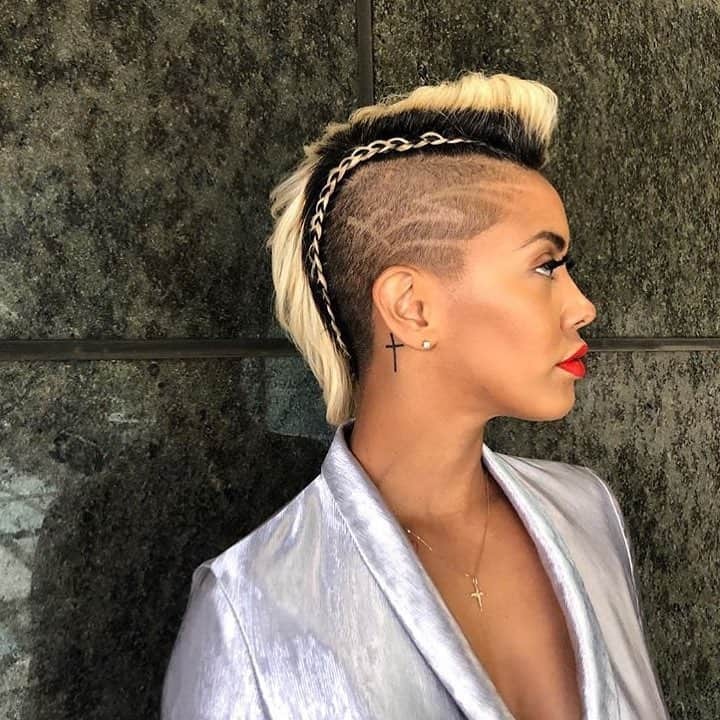 Celebrities experiment with hairstyles like this one on a regular basis. So why can’t you try it? The pixie is a timeless look. And every year, women are trying and looking for a new way to make the pixie more fashionable. The shaved side hairstyle is definitely good option. It puts even more emphasis on your pixie and volume. 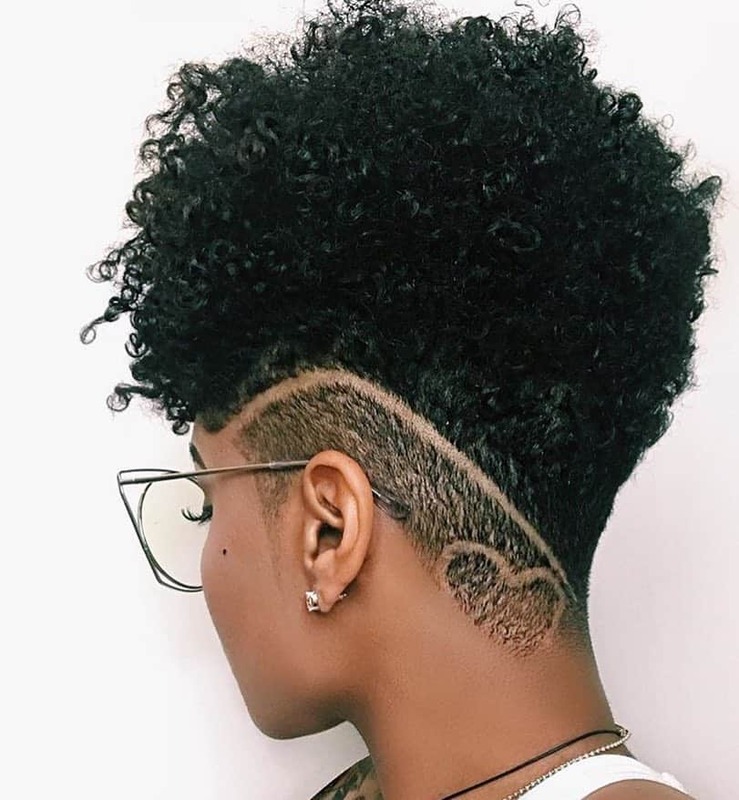 When we talk about shaved side hairstyles, we often talk about a fully shaved side. But every now and then, you can go with a sign or symbol on the sides. Back in the 1990s, men shaved the Nike symbol on their head. Women are of course more elegant and sophisticated, so a statement line is the way to go. Now this is something you can imagine a celebrity like Rihanna doing. If you gather up the courage to do it, we are absolutely for it. 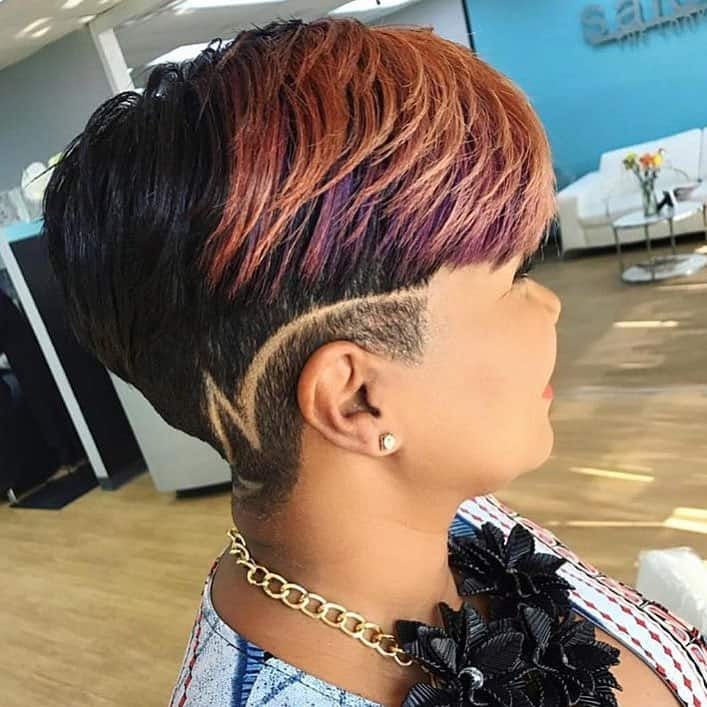 Every now and then, every woman has to make a bold statement with her hairstyle. This might be your time. 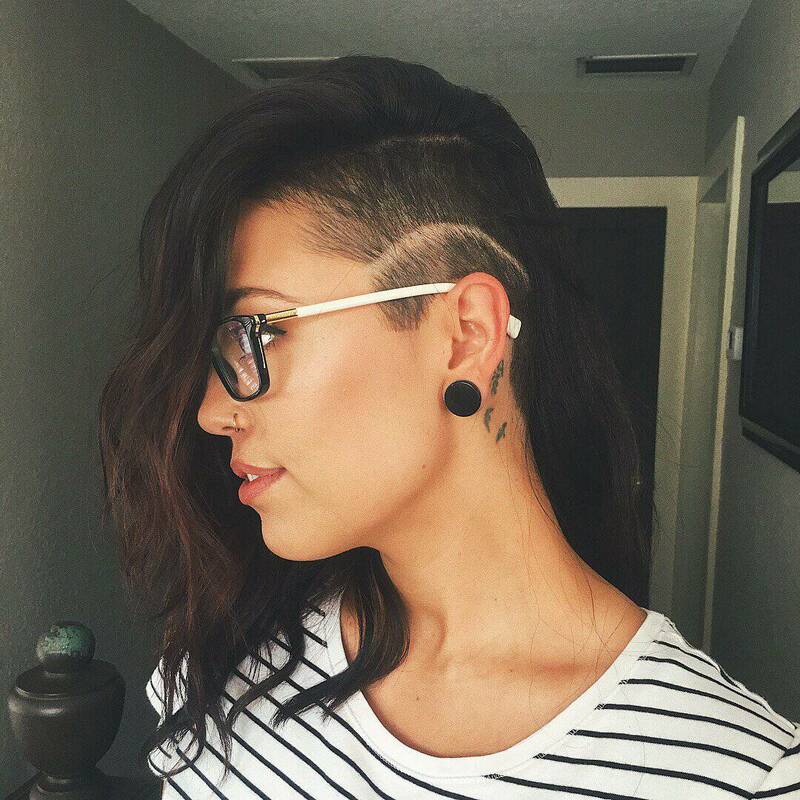 Side shaved haircuts are usually not so long in length. 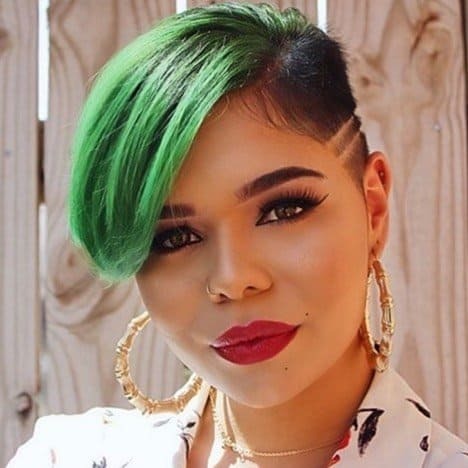 They do not go as deep as this hairstyle. Being that the trend is versatile, we leave the length up to you. If you are comfortable with a deeper cut, great. If not, at least we showed you how it looks. Several years ago, the Mohawk was not something elegant. 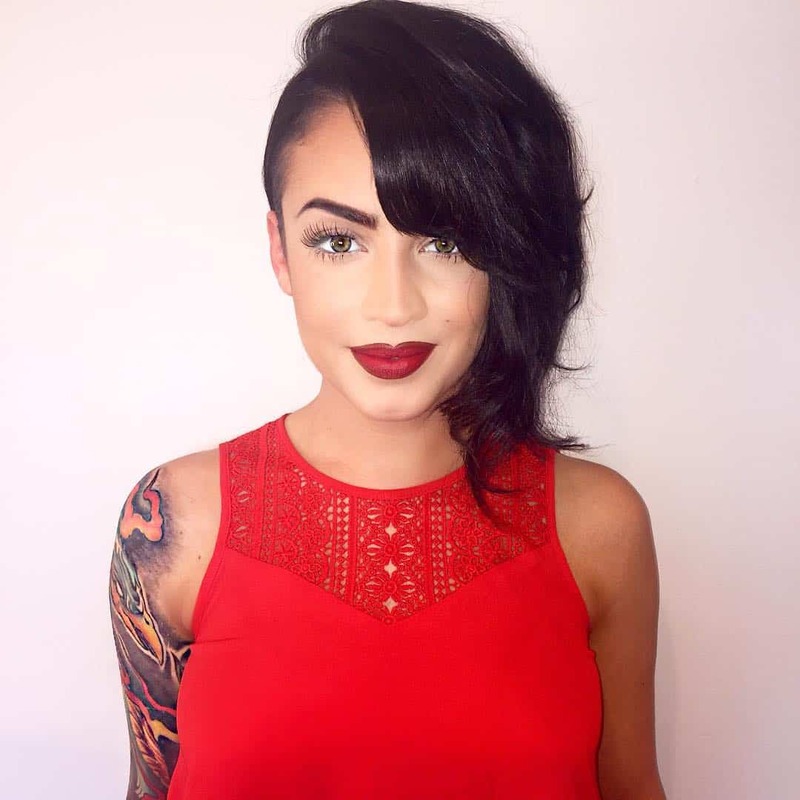 Women did not consider the Mohawk hairstyle as an elegant choice for a formal dinner, date, or a cocktail event. How things have changed in the past few years. And it is all thanks to unique trends like the side shaving. 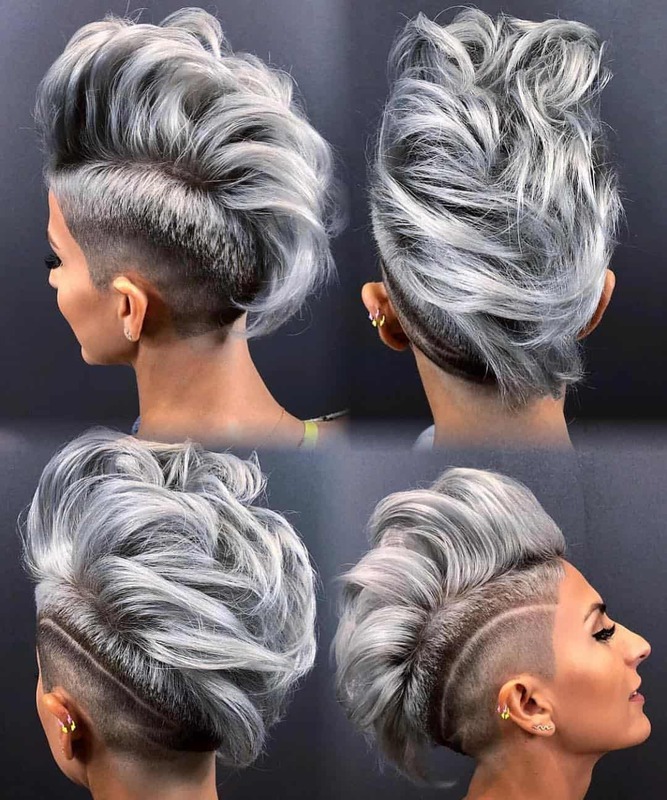 This Mohawk looks absolutely amazing! Side shaving, and dyeing of your hair. Now that is a combination that only a few of us are brave enough to try. And if you are blessed with curly hair, you are in even better position. 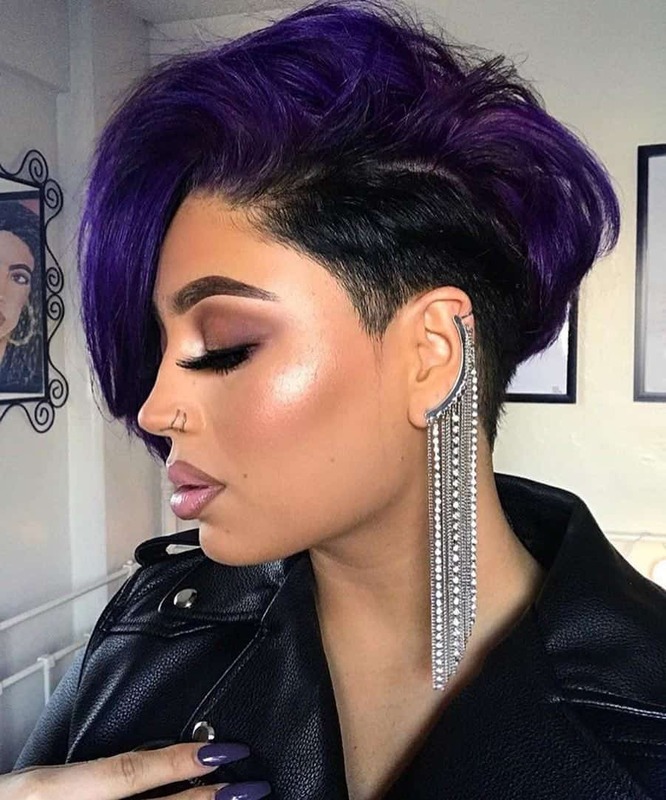 We must say that in the past few years, we are noticing more and more women opt for a short hair. Or a buzz cut as some say it. 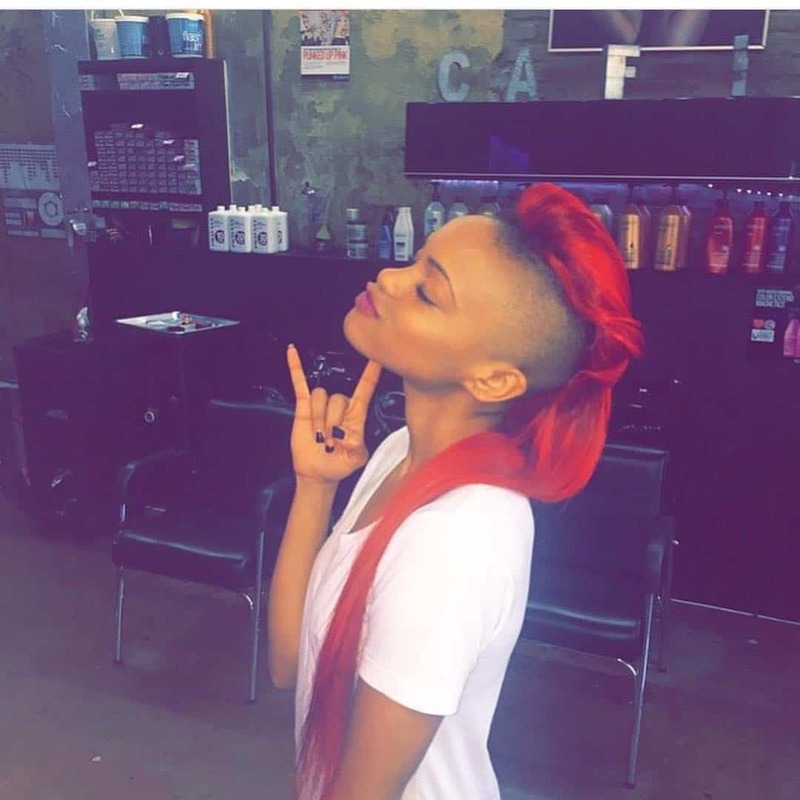 While a regular buzz cut is not as feminine, add in a side shave cut, and you have a statement hairstyle. We talked how shoulder length is the most common length among women. We gave you one option at the beginning, and now we have another hairstyle you can try. Basically, you just add a razor line, and you have a bolder hairstyle. 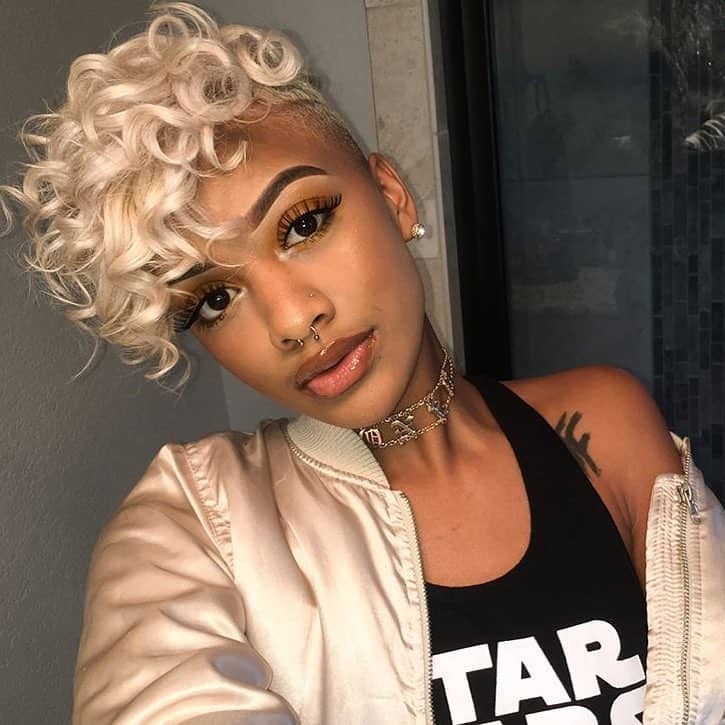 You can say the beauty of this hairstyle is in the colors. Caramel is always a nice option, and if you have curls, even better. 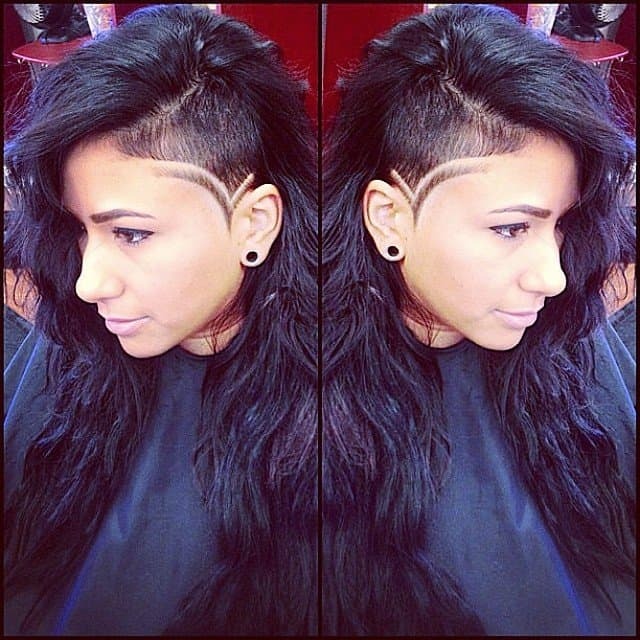 Add a side shave to put even more emphasis on your hairstyle. Now this looks like a hairstyle from a movie, right? Hollywood has put a big emphasis on strong and individual women in the past few years. And they’ve done with it heroine-like hairstyles like this one. 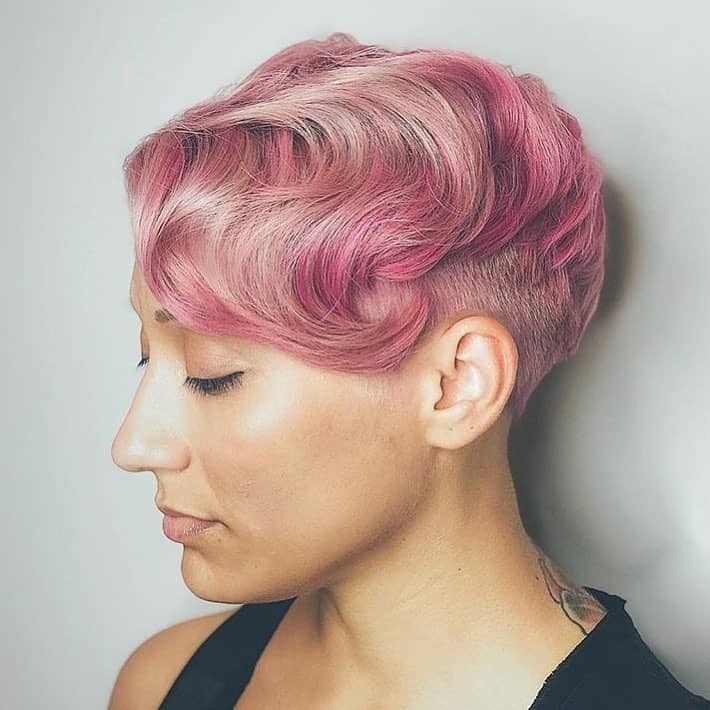 We had a pink pixie, and now we show you an idea with another color that just cries for a shaved side. Green looks gorgeous, and you can try both light, dark, or emerald green. We leave that up to you. The biggest downside of this hairstyle is maintenance. It has to be perfect, and for that, you have to cut it on a regular basis. Now that might be a bit hassle for some women, but we believe it is worth the trouble. You will look stunning. Even ombre can be styled with a side shaving hairstyle. Ombre is slowly but steady losing its popularity, which can mean only one thing. We have to experiment with different ombre combinations to keep it fresh. Side shaving is definitely a good idea. Some women want absolute precision on their head. And this is such hairstyle. Executed perfectly, this is another hairstyle you can find in a movies with Harlem voice. We said previously that the Mohawk is making a big comeback, and it is all thanks to bringing elegance to the style. 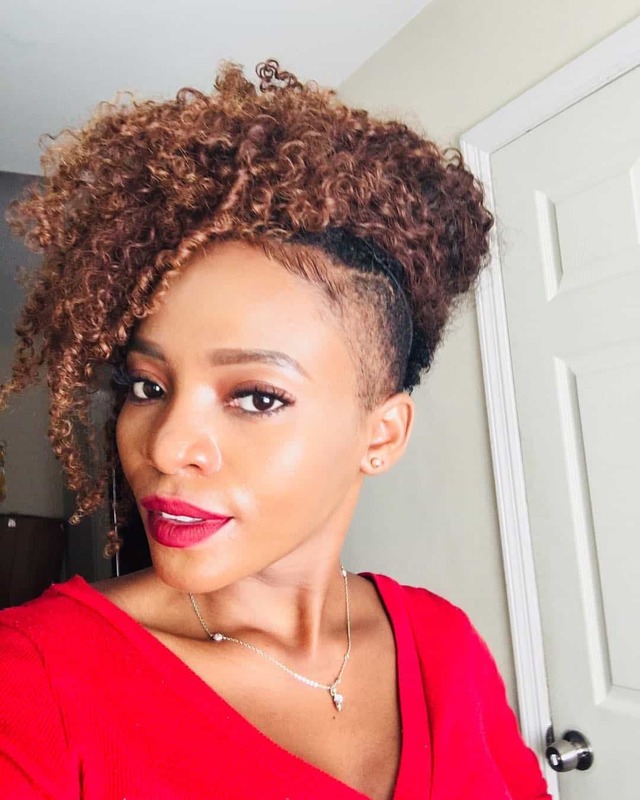 A curly Mohawk is something you can try, and it does not require a lot of maintenance. One of the big features of side shaving is versatility. 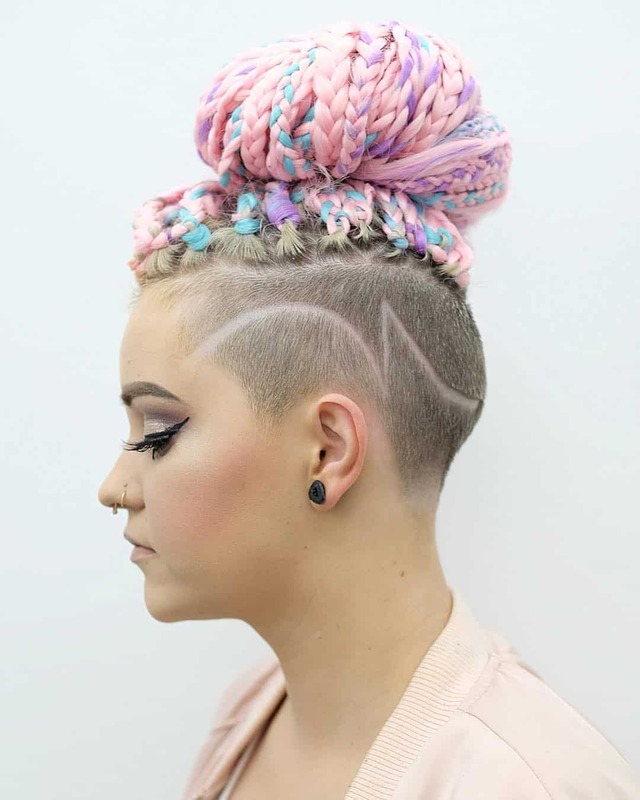 You can shave your sides in absolutely any way. For example, this is one unique option. Instead of the full side, do a V-cut. 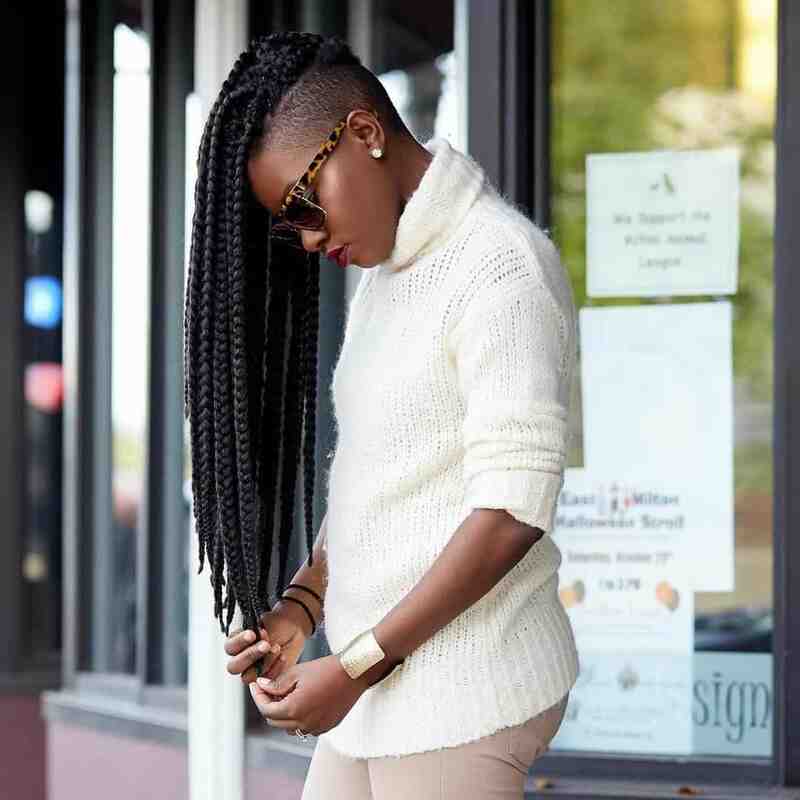 Braids are gaining some traction as a popular trend among women of all colors. 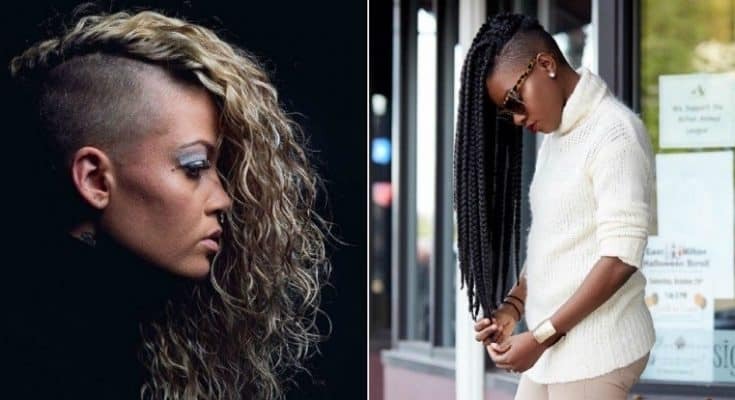 Some 10 – 20 years ago, braids and corn braids specifically, were something only African-American women wore. But nowadays, every woman can get her braids, and look normal. 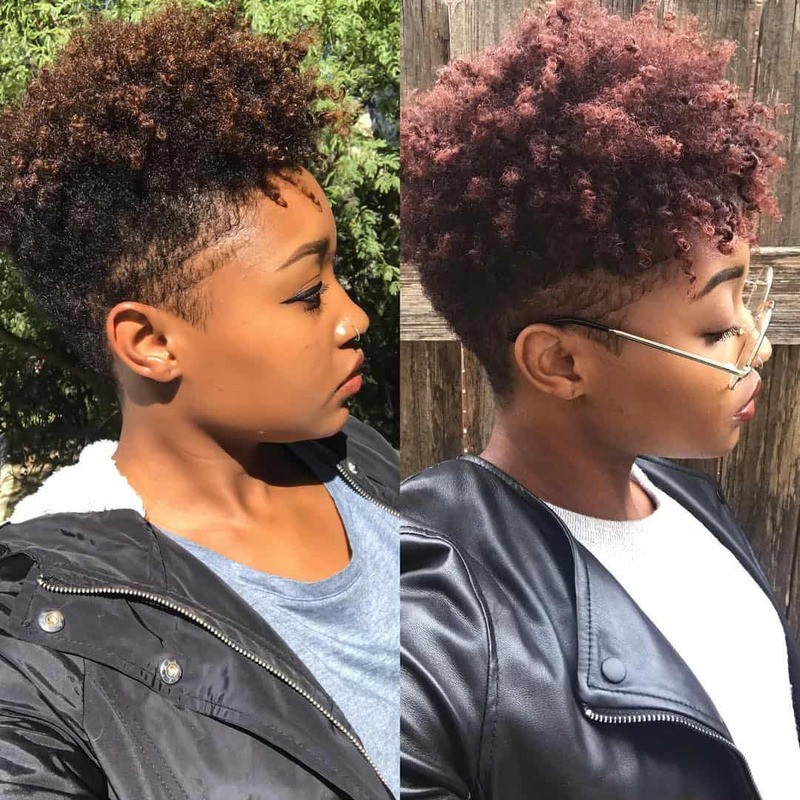 If you want to experiment with hairstyles, the side shaving definitely gives you that. Once you shave one side of your head, the emphasis is on what is left. And you can play with different hairstyles, be it ponytail, bun, or anything else. Some would say this is a bit too much. Good, as this is a hairstyle for the few brave ones. It looks childish, but it is a bold and courageous statement. 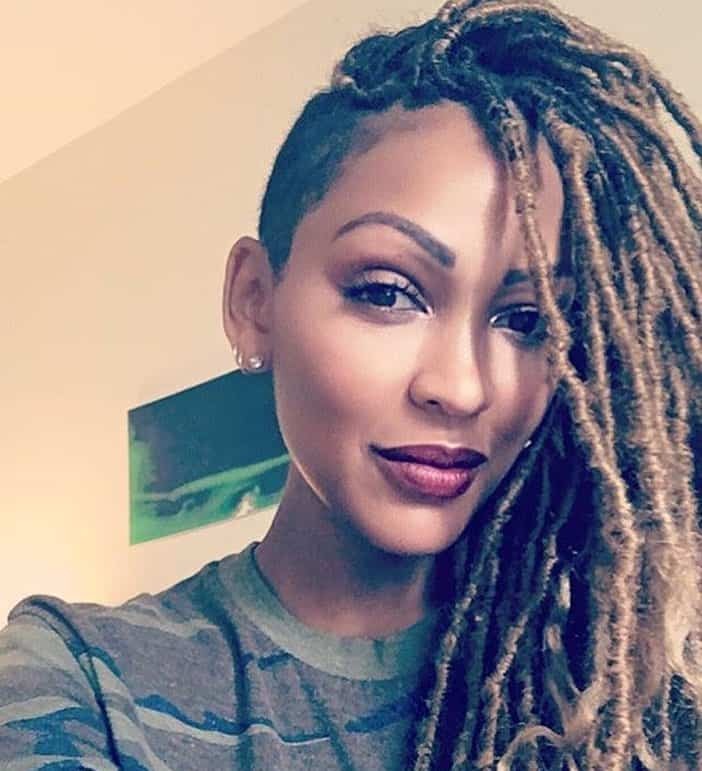 Strong women are more and more opting for a side shaving. Just look at this woman. How confident she looks on a scale from 1 to 10? We had a couple of Mohawks on the list, and this is definitely the best one. The length makes it spectacular. And we love how it is not a common Mohawk on top of your head. With that in mind, we hope you enjoyed the ideas we provided. Now, all that is left is to print the photo, or save it on your phone, and show it to your hair stylist. Get him to work!